I am using QGIS 2.18.19 to produce viewsheds of a proposed development to show where the development would in theory be visible from. 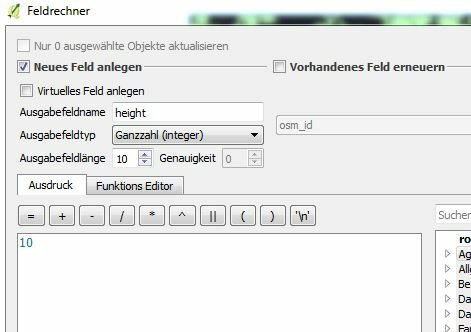 I am using Ordnance Survey Terrain 5 as my height data (*.asc) which I have loaded and saved out as a GeoTIFF so that it is correctly geo-referenced to the coordinate reference system I am using (OSGB36). At present I have run a viewshed of the development using the DTM which gives the theoretical visibility as if the earth was bare. I have a separate vector dataset of woodland which I have converted to a raster. Firstly, how can I add give the woodland raster a notional height so that each block of woodland has a height of 10m? 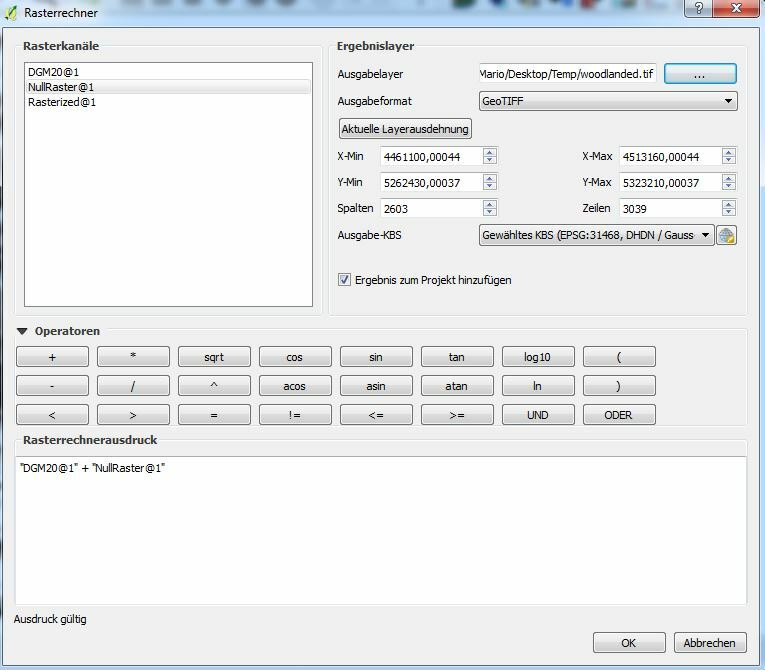 Secondly, how do I add the raster of the woodland (with notional woodland height) to the DTM so that I have a raster of the DTM with woodland heights? As already said in comments, the question is different, but the solution is very similar to the one provided here. Add a height attribute to your woodlands vector layer. Convert your woodlands layer to raster. (Using SAGA Rasterize tool here as the QGIS2 tool is.. well, lets say outdated). Make sure to choose your heightattribute as Attribute and set the cellsize to your original DEMs cellsize. Run r.null on your just rasterized layer to replace null values with 0. Use Raster Calculator to add the height to your original DEM. 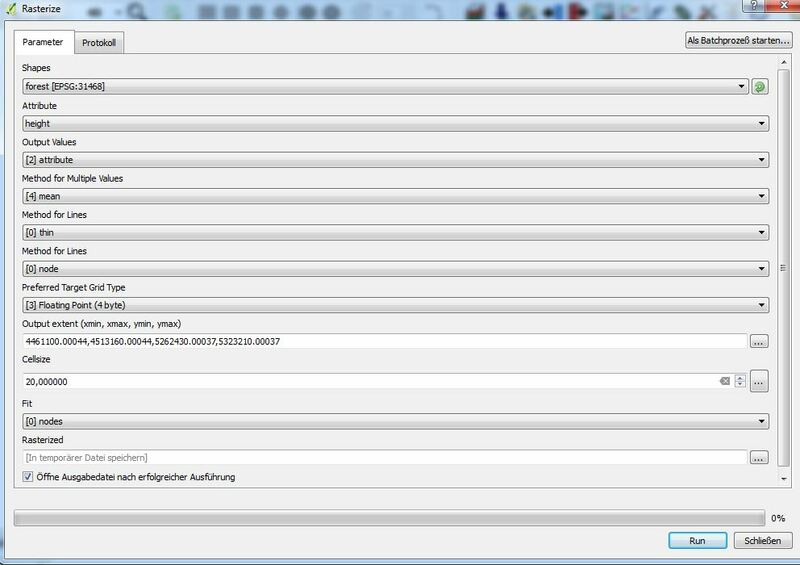 Use "OriginalDEM@1" + "NullRaster@1"
Not the answer you're looking for? 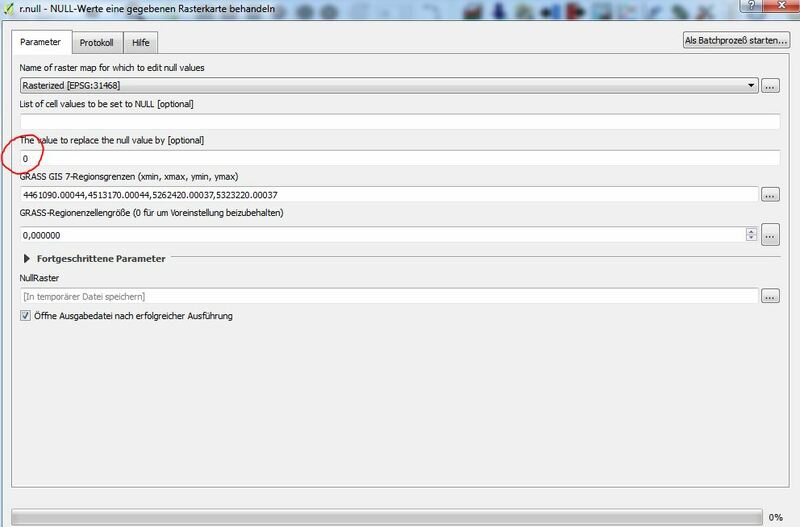 Browse other questions tagged qgis raster-calculator or ask your own question.